Whether you teach ratios at the beginning of the year or the end...I THINK THEY ARE SWEET! Plus students always seem to love them and everyone could always use a review. Here are TWO activities for you that make it easy (and the perfect excuse) to STOP. DROP. 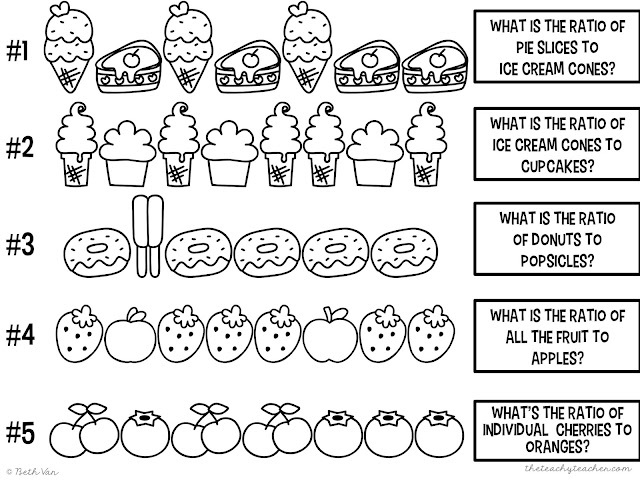 and REVIEW. How stinking fun are these FRUITOMINOES (yes, that's the real name!)????? 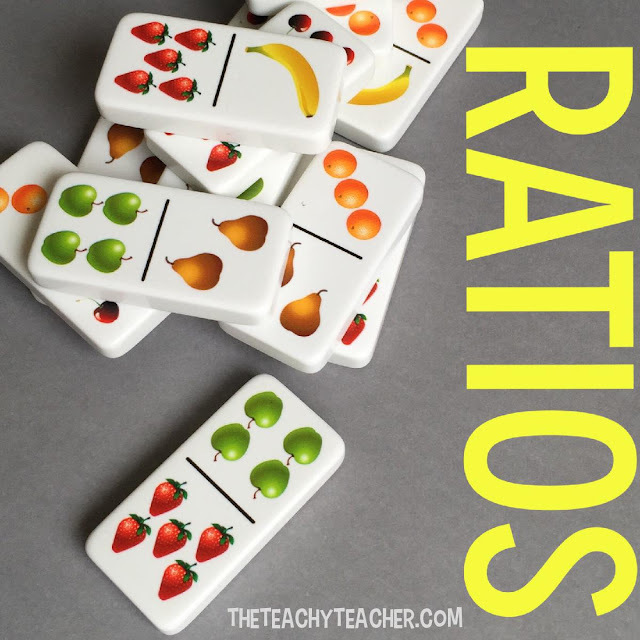 I LOVE these for ratio's because students are comparing two different things (rather than dots...even though I love regular dominos too). This is part of my FRUIT SALAD station. Every perfect fruit salad has the right amount of strawberries, not too many bananas, and lots of oranges (at least in my book)! I LOVE this station for writing ratios and having students find equivalent ratios. You can purchase FRUITOMINOS HERE. 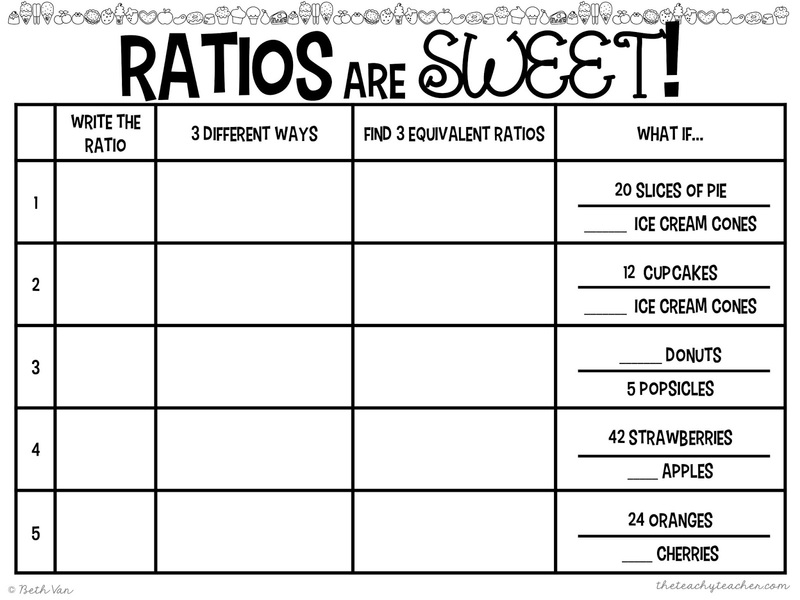 Ratios are SWEET aren't they. I'm currently smack dab in the middle of this product and this picture is a #roughdraft of it all. So if you see a spelling error, help a sister out! BUT I've posted this below so grab a copy if you are up a creek without a paddle--or ya just need a quick center! Thanks for reading my blog! I call these babies "FLIP STRIPS". Print punch and keep together with a ring or brad (like in the picture above). 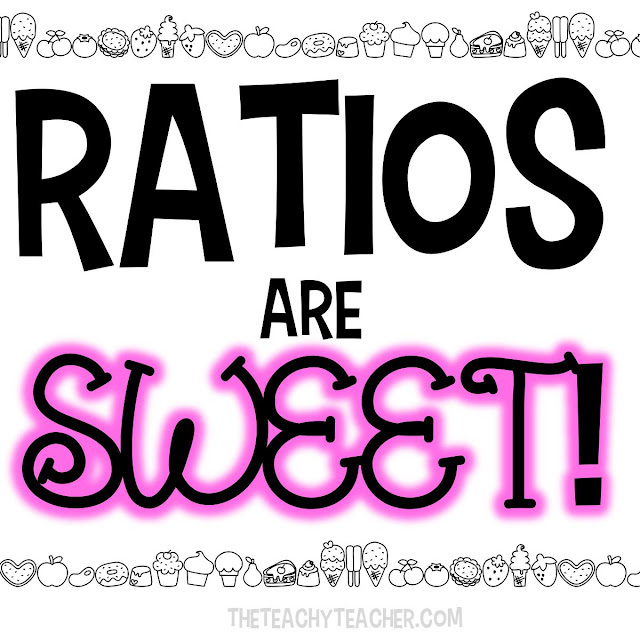 AND you can just keep them plain as well (no judgement here!) #dowhatyougottado. It's a quick and sweet center. 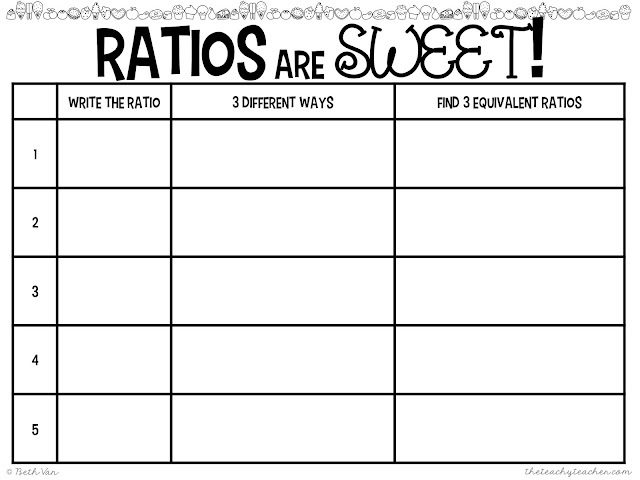 AND in case you want to throw some proportions in there too (graphs, tables, tape diagrams, pictures, you name it) I have a recording sheet with a what if column so students have to APPLY their knowledge of ratios. 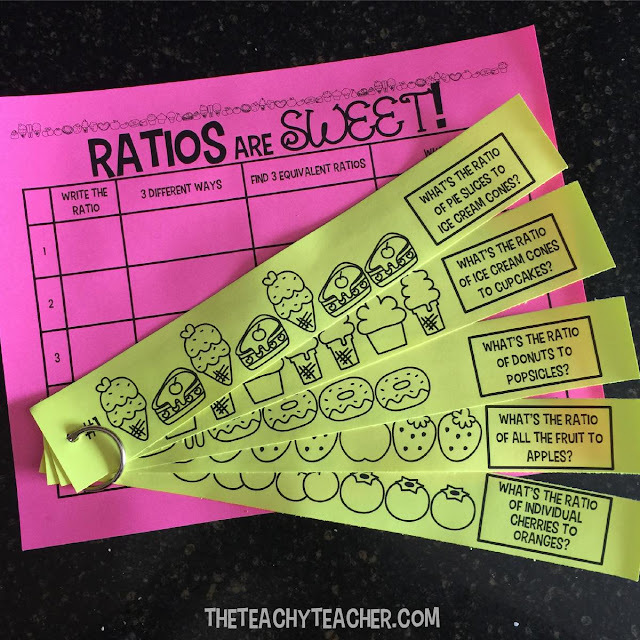 This is great for differentiation too--and great if you have some kiddos that just need to focus simply on ratios themselves without throwing in proportions. 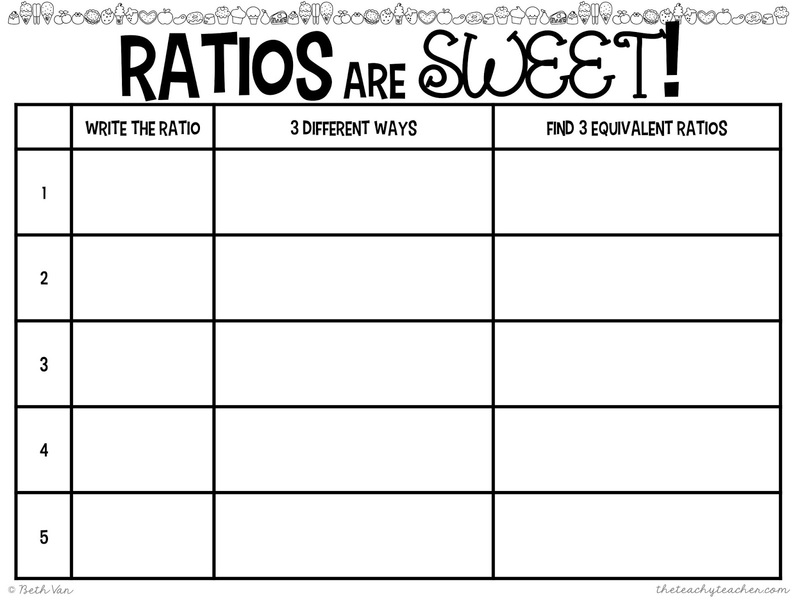 Save and Print with the PDF below! 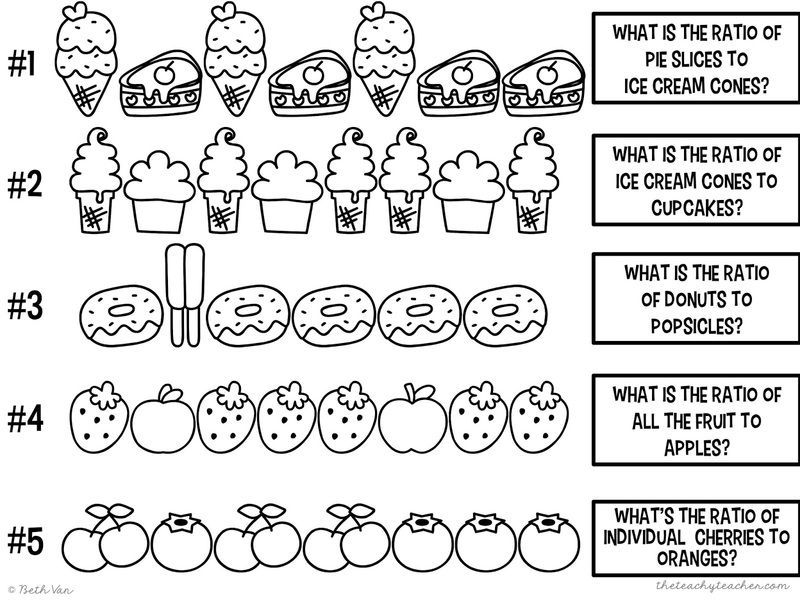 I really like this activity! 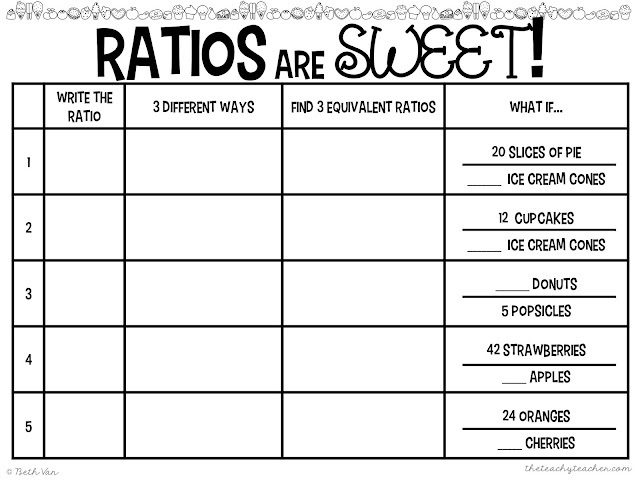 One question though, what would be the difference between "3 different ways" and "3 equivalent ratios"? Or should these two columns be the same? What grade could this be used for?